My history with Uriah Heep goes back to Demons and Wizards. Memory is hazy, but I might very well have bought the LP on a whim based on the Roger Dean cover art and the fantasy-oriented song titles. When I was a teenager, that could be enough. Luckily, I ended up really liking the album. The way the electric and acoustic guitars were combined, plus Ken Hensley’s Hammond organ work, hooked me. When The Magician’s Birthday came out, I scooped it up, and loved it too. On this one, Mick Box’s outstanding guitar solos were my favorite part, particularly the epic workout on the title track. I picked up Sweet Freedom on its release, but found it mostly a let-down, with more predictable songs – just all-around less inspired sounding. That was pretty much it for me. I’m not sure why I never went back and checked out the earlier stuff. I know they kept releasing albums, but never felt inclined to seek them out. In 2001, the then-current version of the band recorded Acoustically Driven and Electrically Driven, live sets covering tunes from the band’s entire history. During the preparations for those concerts, they recorded versions of the tunes, which were released on the Classic Rock Legends label with the misleading title Remasters. With Totally Driven, the band has taken those recordings and released them in a lovely package with beautiful artwork. The band in 2001 consisted of guitarist Mick Box and drummer Lee Kerslake, who had been with the band almost continually since 1972, bassist Trevor Bolder (a member for most of the period since 1976), keyboardist Phil Lanzon, and lead vocalist Bernie Shaw (both of whom joined in the mid-80s). The band is augmented by a string quartet, flute, pedal steel, uilleann pipes, percussion, and extra acoustic guitar on various tracks. If the defining elements of Uriah Heep’s sound are Box’s distinctive guitar, heavy keyboards (especially Hammond organ), a wailing lead vocalist, and heavy reliance on multiple backing singers (the other band members), then this is quintessential Heep. The material reaches all the way back to their debut with “Gypsy” and “Come away Melinda,” and features the early 70s albums pretty heavily, followed in number by 90s tracks from Different World, Sea of Light, and Sonic Origami, with the 80s getting short shrift. When presented in this manner, all played by the same band, the compositions seem of a piece, without any jarring inconsistencies in style; they range from mellower tunes like “Rain” to all-out rockers like “Traveller in Time,” but all fit together. One thing I notice is that they avoid the clichés of the stadium-friendly power ballad even on the slower tracks (maybe those songs were on the 80s albums that aren’t represented, and the band wisely chose to ignore them, or maybe Uriah Heep never got into that). The added strings and other instruments are generally not obtrusive, though they’re used to good effect at times. There are no multi-section progressive suites, no extended instrumental sections, and no odd meters, just a band that has survived showing us why classic rock became classic in the first place: Good songs well played, impeccably arranged but not too sanitized by production. The sound quality is outstanding, as befits a live-in-the-studio recording, and the musicians are spot on. The backing vocals are especially impressive, as they have been from the beginning with this band. 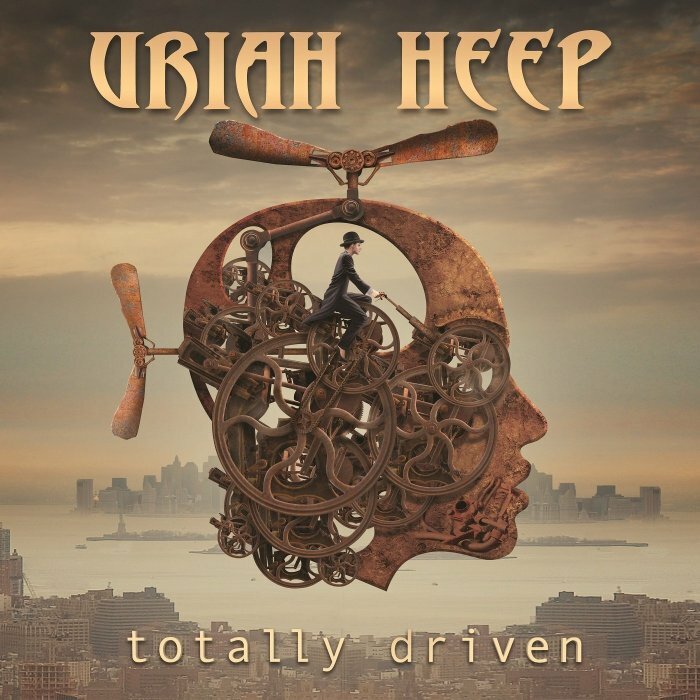 As I said, I can’t speak to large segments of Uriah Heep’s discography, so this collection fills in the gaps just fine, providing a taste of what they consider their best moments. And I suspect that long-time fans will enjoy these renditions. My only complaint is that I would have liked a bit more emphasis on Box’s playing – his solo at the beginning of “July Morning” is a welcome taste of what he can do with a wah-wah pedal, but is all too fleeting.